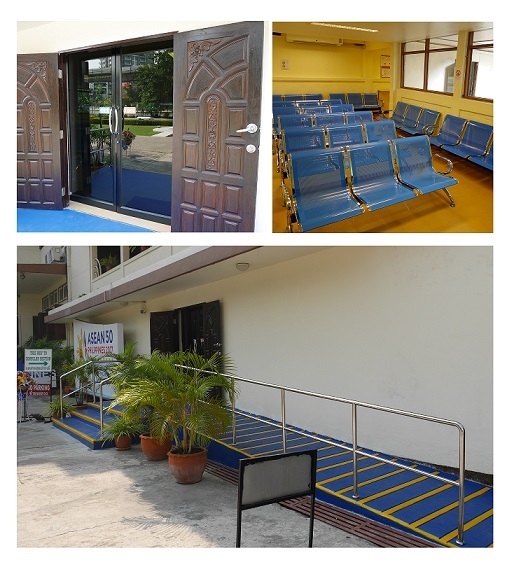 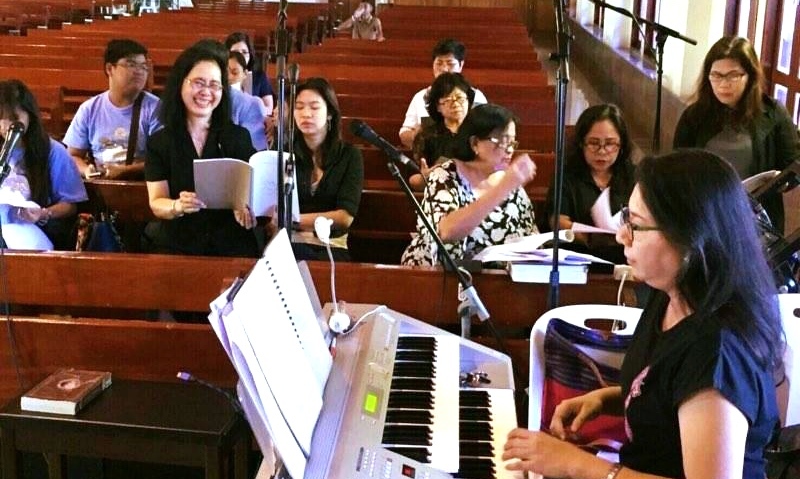 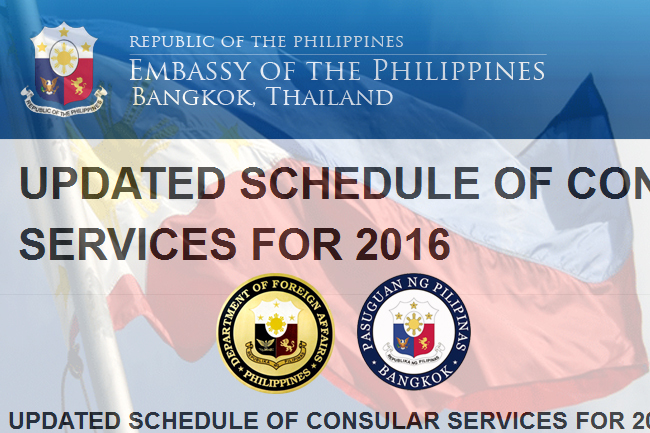 Before the first quarter of 2016 closes, the Philippine Embassy in Thailand has already released the updated schedule of consular activities for 2016. 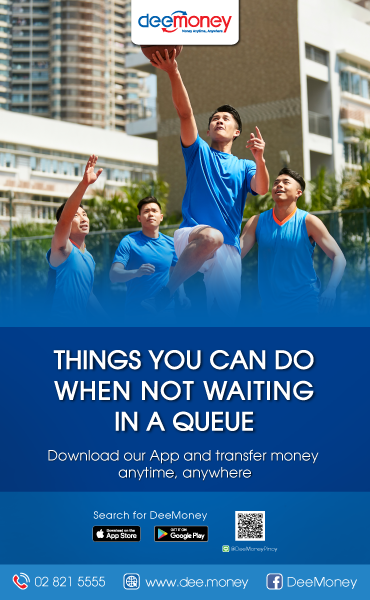 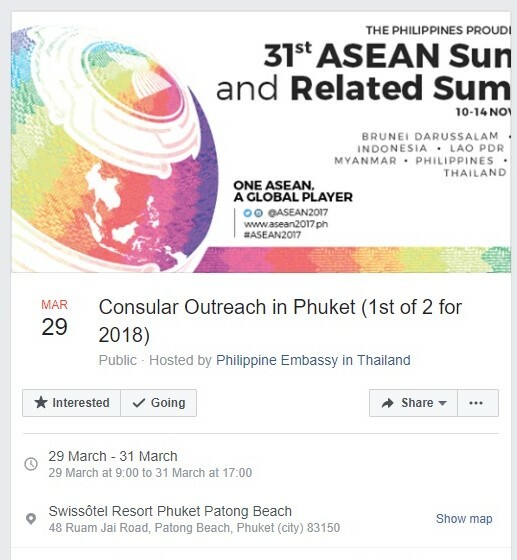 Stated on its Facebook page, the Embassy advises the Filipino community and the general public in the Kingdom regarding its schedule which is also posted on their website. 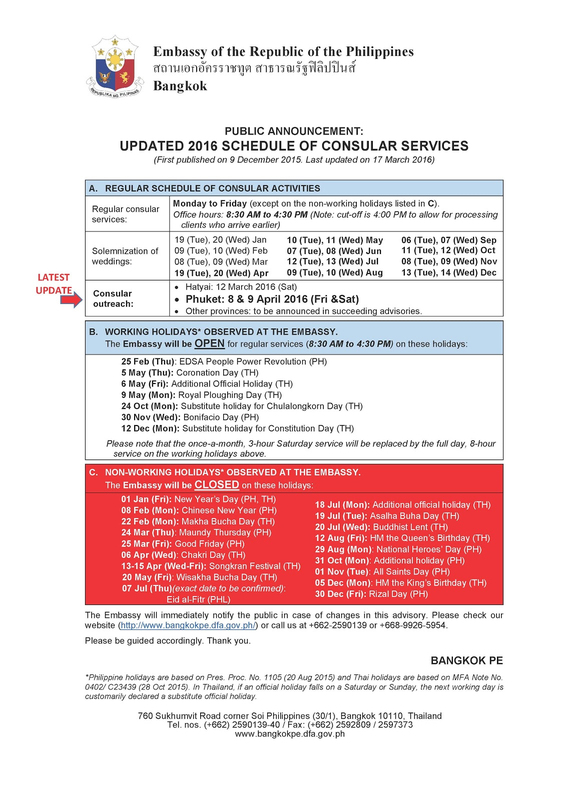 Special announcement regarding the March 24 and 25 holidays was released. 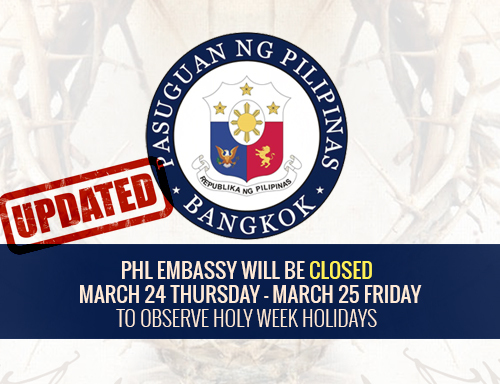 The Philippine Embassy will be closed on Holy Thursday (March 24) and Good Friday (March 25) in observance of the Holy Week. 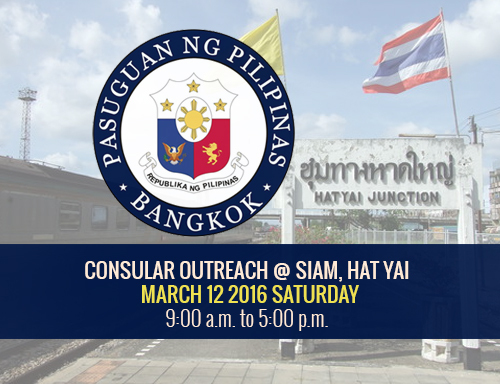 The Embassy will also conduct a mobile consular service in Hatyai on March 12 (Saturday) as well as consular outreach in Phuket on April 8 and 9 (Friday and Saturday). 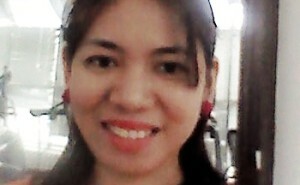 Other provinces are to be announced later in their coming advisories.